Return to Home > NO PUMP Pre-Workout Boosters>Activlab - Arginine 3 - 120 caps. Activlab - Arginine 3 - 120 caps. 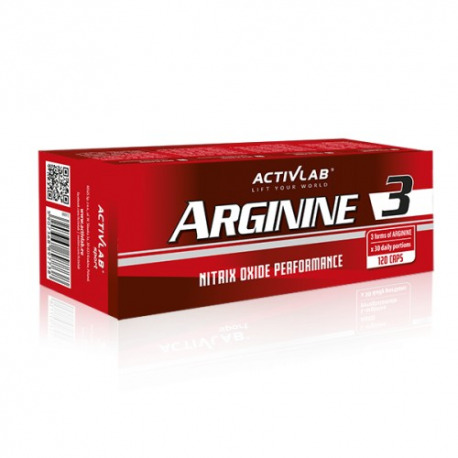 Arginine3 is a product containing arginine in the three forms: alpha-ketoglutarate, pyroglutamate and pure L-arginine. Arginine is an amino acid which accounts for a number of biochemical functions within the body, being a precursor of nitrogen oxide (NO) secretion. For instance, the NO is instrumental in the dilation of the blood vessels. 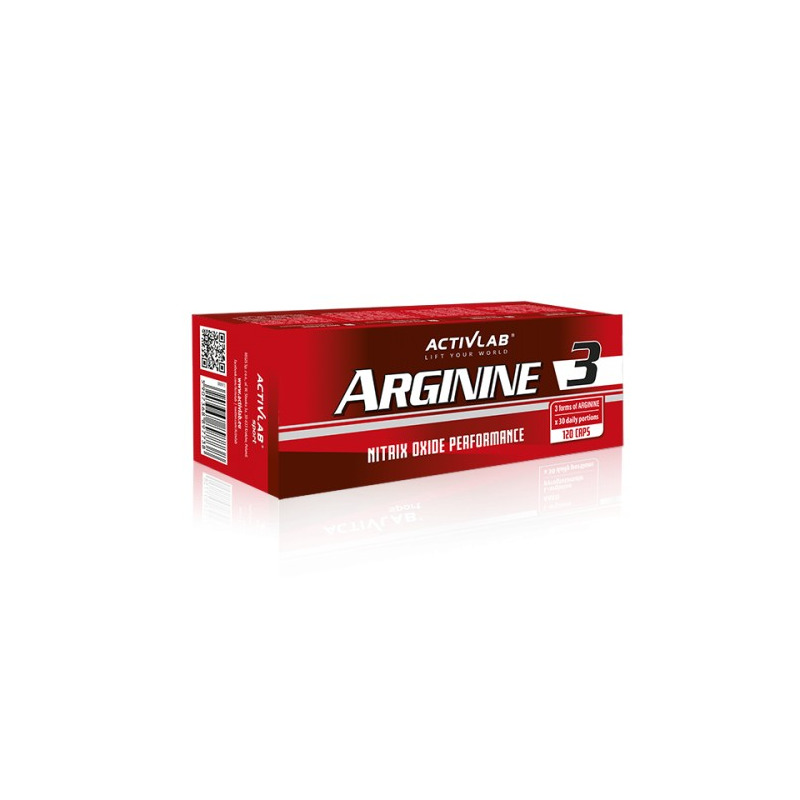 Arginine3 is recommended to all persons pursuing strength and endurance sports (running, cycling, combat sports). WAY OF USE: on training days 2 capsules before training and 2 after training. On non training days: 1 capsules before breakfast and one capsule at night before bed. Do not exceed the recommended daily dosage. INGREDIENTS: L-arginine, arginine -ketoglutarate, arginine pyroglutamate, anti-caking agent E407b, shell (gelatine, colour E171). May contain trace amounts of soya bean, wheat and nuts. Package content: 128 capsules, one capsule weight: 1110 mg.